Welcome to Solo. If you like to go to Solo, don’t just explore in midday. You also can travel and visit many places in night. The nightlife in Solo, Indonesia can be fun if you know the right place. These are the places that you can visit to spend the nightlife in Solo. 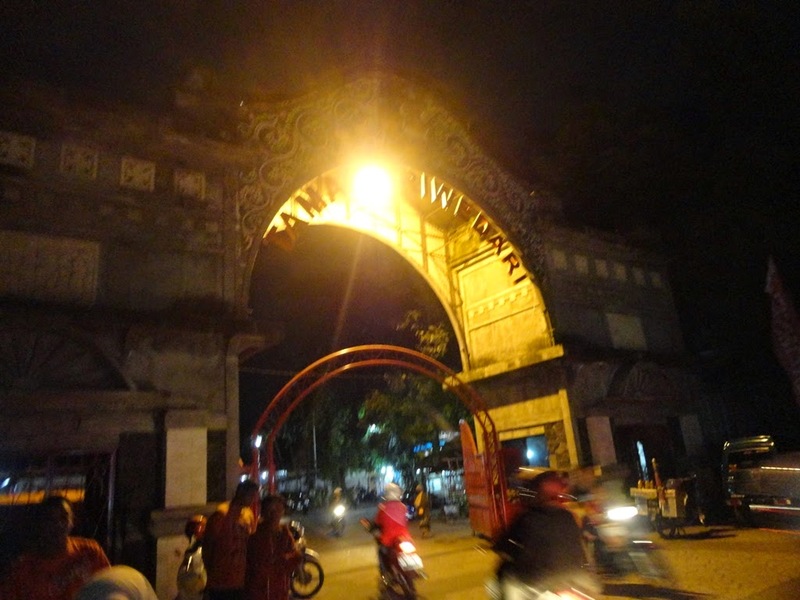 Alun Kidul or Alkid is now used as a place to socialize. The teens, adults, and children like this place. In the morning, this place usually use as a place for exercise such as jogging and playing football. Well, when nightfall, alun-alun kidul usually began lively. Alun-alun kidul offers a wide range of culinary specialties like wedang ronde solo, nasi liwet, batagor, roasted corn, and many more. However, the most you encounter when to Alkid is grilled meatballs seller. There are dozens of vendors that sell grilled meatballs with a variety of flavors. 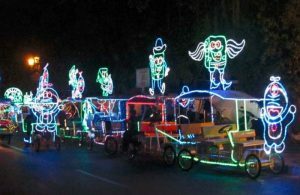 In addition to the culinary, Alun-alun kidul also offers a variety of amusement rides such as neon rickshaws decorated with neon lights when the lights on, it will form all sorts of characters on a rickshaw. In this place, there are also rickshaw neon, mini train, bath balls, balloon castles and many other amusement rides. Besides tourists can try their luck beneficial activities such as jogging, cycling, other sports. This tour will always bustling, from morning will be a lot of people to exercise, during the day a variety of snacks ready to welcome residents or tourists are resting Jogja. In the afternoon visitors can sit back and relax to enjoy the beauty of Jogja. Night time was the one who was always crowded. Cheap Travel in Jogja is full of excitement that you must visit. Sriwedari Park is located at Slamet Riyadi street no. 275, Solo. In the region, there are some places use as a place for artistic performances. At the front, there is a gazebo that is often use for dance performance. In addition to the performances, the gazebo is also often used as a meeting place. In front of this Hall, there are statues of Rama and Sinta. The theater was once was restored in 1994. 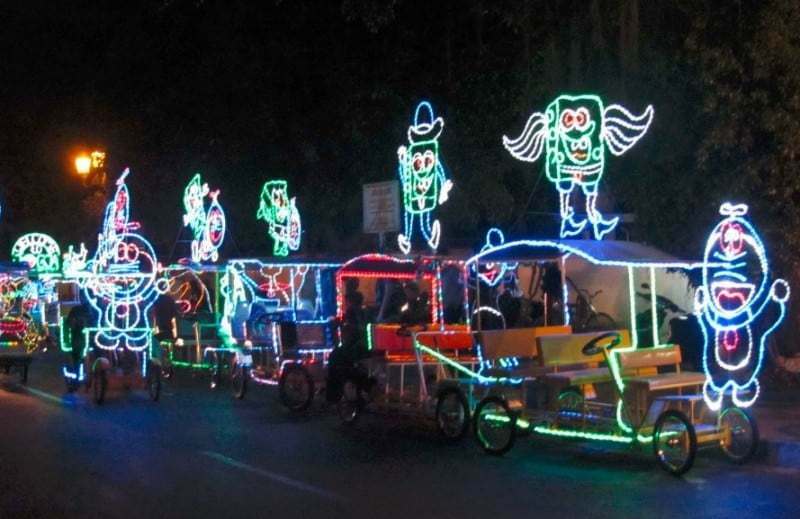 For the best nightlife in Solo, you can come to Sriwedari Park to watch wayang show. In this place, wayang show regularly held from Tuesday through Saturday. It is starting from 8 a.m. until 11 p.m. The admission to watch this show is Rp3,000. Moreover, in Sriwedari Park, there are also many stalls offering a variety of art and culture. Coming to this place, you can find stalls that selling paintings, and so on. Moreover, in another stall, you can also find sellers of kuda lumping, various handicrafts from bamboo, and other crafts. If you want to see the big event, you can come in Ramadan month. On the night of the 21st, Sriwedari Park became the venue for Malem Selikuran. Malem Selikuran is one of the traditions of Kraton Surakarta Sultan and the Solo community to welcome the night Laylatul Qadar. On this night, there is a carnival that brings 1,000 tumpeng from Kasunanan Palace courtyard towards Sriwedari Park. In the Solo city, there is a place that will become a heaven for foodies. Located at the end of Slamet Riyadi street, precisely on Captain Mulyadi street, there is a place that becomes the culinary center of Solo. The place is named Galabo. Galabo is short for ” Gladag Langen Bogan “, which a favorite food center in the Solo region. Galabo actually is a public road that length is about 1 kilometer. This road is then converted into a culinary center. From morning to evening, a variety of vehicles passing in this way. However, it was not until 5 p.m. Because at 5 p.m., this road will be closed. The road will be full with the seller who sell a variety of foods, with benches and chairs that fills the center of the road. Galabo open until 11 p.m. The venue was opened in 2008. In this place, there are 43 stalls that selling a variety of food. Interestingly, 43 sellers who are here will offer you different menus. So, you can simply come to one place to enjoy a variety of special menu of Solo. Various distinctive culinary menu of Solo can be found here. There is gudeg cakar Margoyudan which is very famous delicacy. Other menu like to tahu kupat, wedang rondhe, sate bunthel, dan cambuk rambak can be found in Galabo. While enjoying a variety of menu, visitors will be accompanied by musical entertainment that will make you more enjoy in this place. 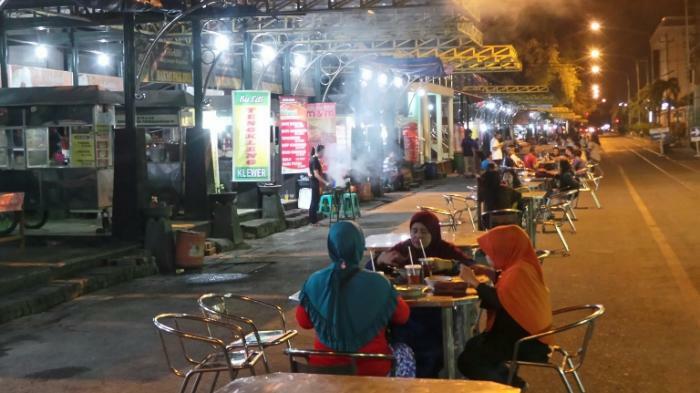 Spend your nightlife in Solo, Indonesia will make it more fun while you can enjoy various of food. What a beautiful nightlife in Solo Indonesia!